Sardine Run Tours : Tours Packages and Charters 2019 Sardine Run. Sardine Run Tours and Charters 2019. Sardine run tours 2019: For the sardine run this year, we are offering some exciting new options. Oceans Africa will be guiding 3 weeks in different areas; Week 1 from East London, week 2 from Coffee Bay and week 3 from Mbotyi. If you’re interested in joining us for 2019 choose your week and we’ll add your names to our group so we can take advantage of group rates and shared transfers. We also have the standard sardine run tour options from Coffee Bay with 5 and 7 day packages available as well as and extended 14 day KZN and sardine run package. You can also check out our East London options if you want to place your bets on the sardine run action further south! The footage from 2018 Sardine Run in East London will be posted soon !!! 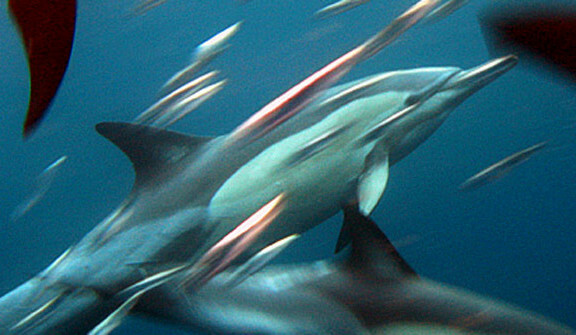 What is the sardine run ? 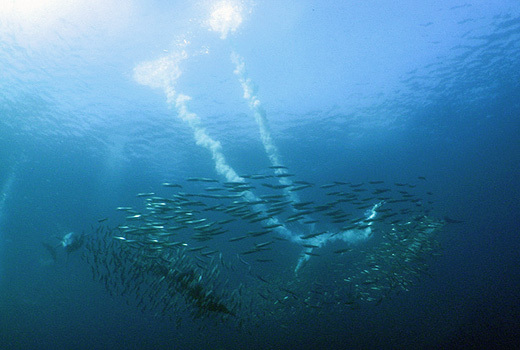 The Sardine Run is an annual movement of fish and predators along the south and east coast of South Africa. The movement is driven by a seasonal counter-current that brings the sardines with it. 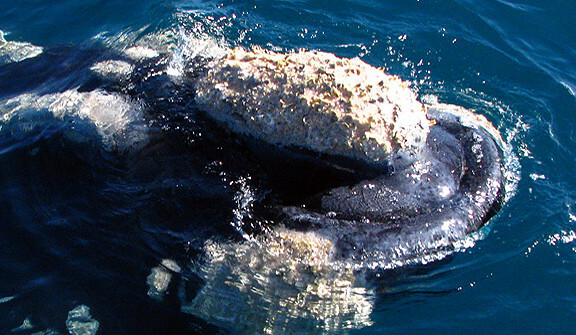 When everything comes together the sardine run is the most spectacular natural spectacle, offering incredible diving opportunities to the adventurous diver. 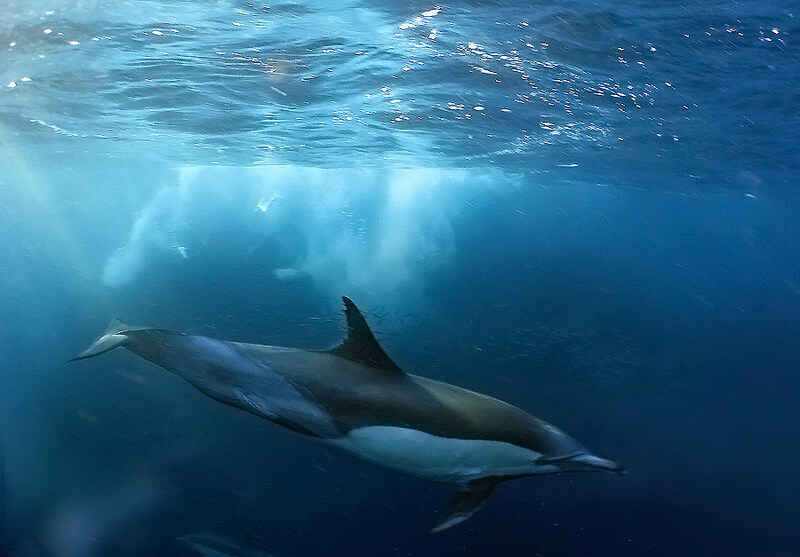 The action on the sardine run can be so varied as to take in almost the entire scope of what you have seen on Blue Planet and Discovery. However you need time, you need, patience and you need luck. You may or may not get the whole bait-ball experience but you should still have some amazing dives. 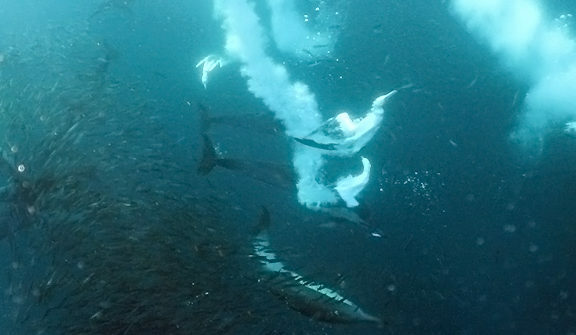 The dives during your sardine run are totally dependent on the nature of activity on the day. 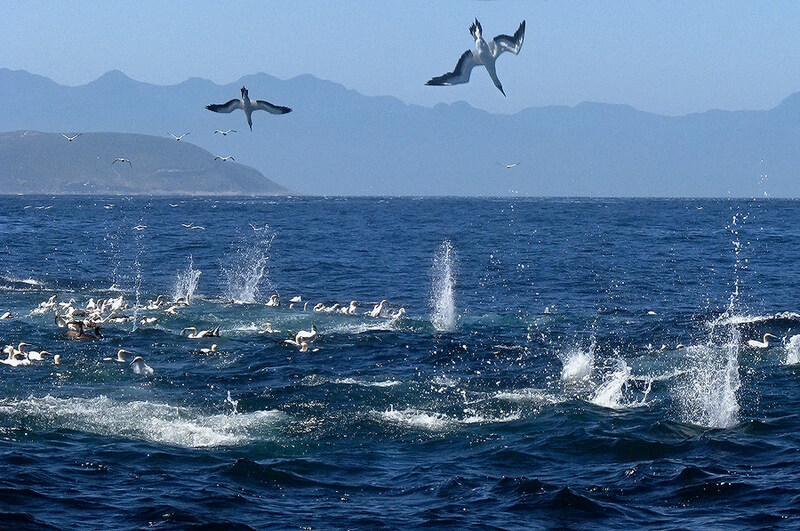 The sharks, the dolphins and the birds associated with the sardine run should all be there waiting for the shoals to arrive, so dives with them are almost a given! 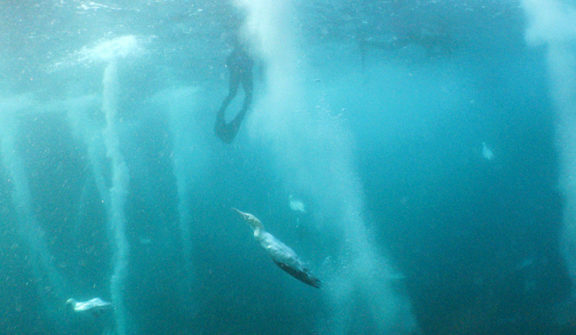 Some days you may be in and out the water 20 times on scuba or snorkel. Other days you may find stable activity or do longer dives on the local reef or wrecks. 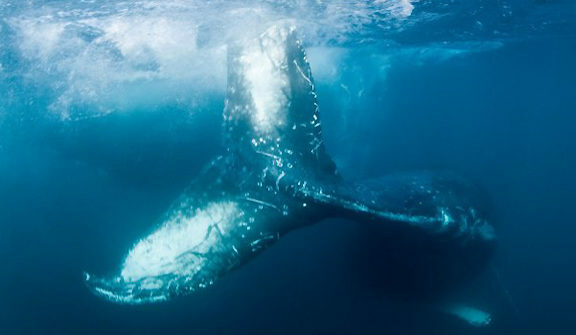 The migration of humpback whales at that time, although, unrelated to the sardine run, will also keep you active. 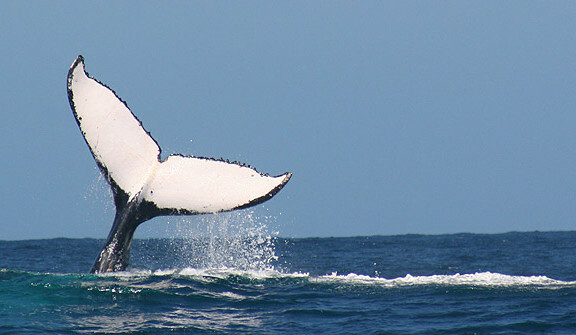 The shear number of whales passing each day is spectacular in itself. So while you wait for the sardine run action to kick-off the whale and dolphin encounters should provide ample distraction. The sardine run is a totally wild, unpredictable event so if you are looking for a real African experience with adventure diving at it’s best, you’re unlikely to be disappointed! For those of you travelling down from Durban for the sardine run we can also arrange some extra days diving on the south coast at Aliwal Shaol. Each week during the sardine run we will also be offering daily charters from Shelly Beach to Protea Banks – so great shark and whale action almost a guarantee if you don’t manage to get to the sardine run itself !